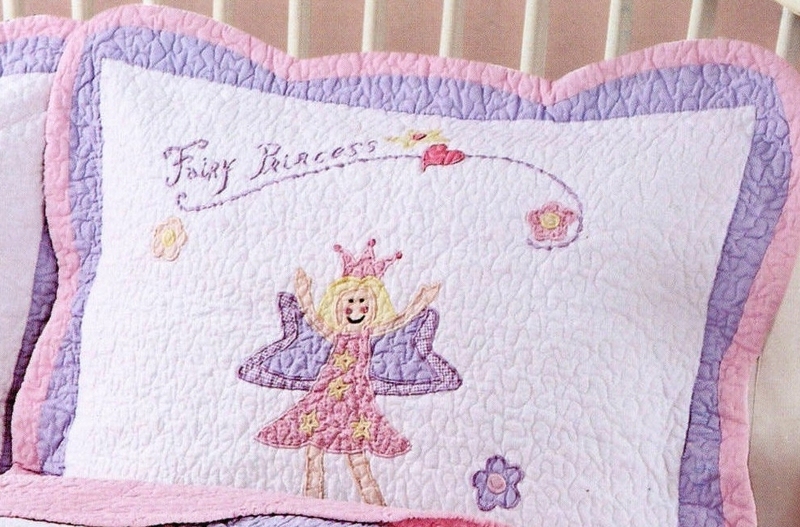 Give your favorite little princess her own castle with this handcrafted quilt. 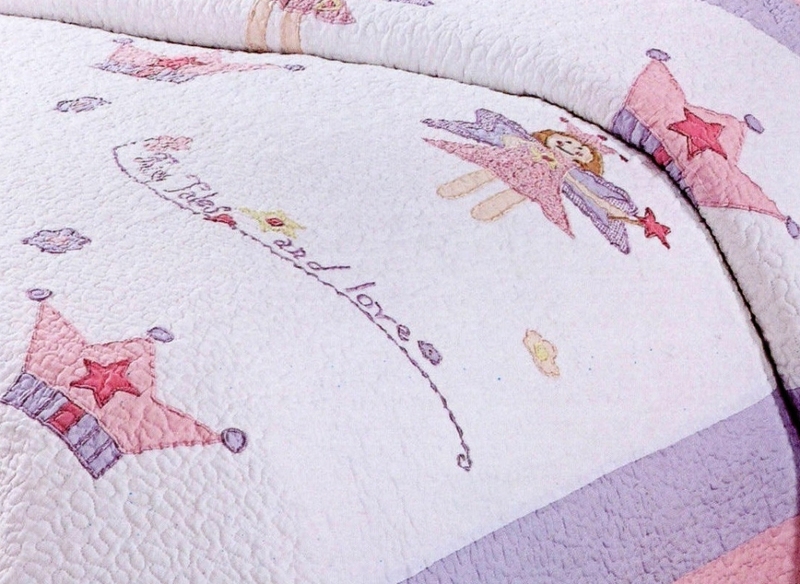 This charming patchwork quilt displays colorful dancing fairies, princess crowns, hearts and flowers in pastel purple, lavender, pink, and white. 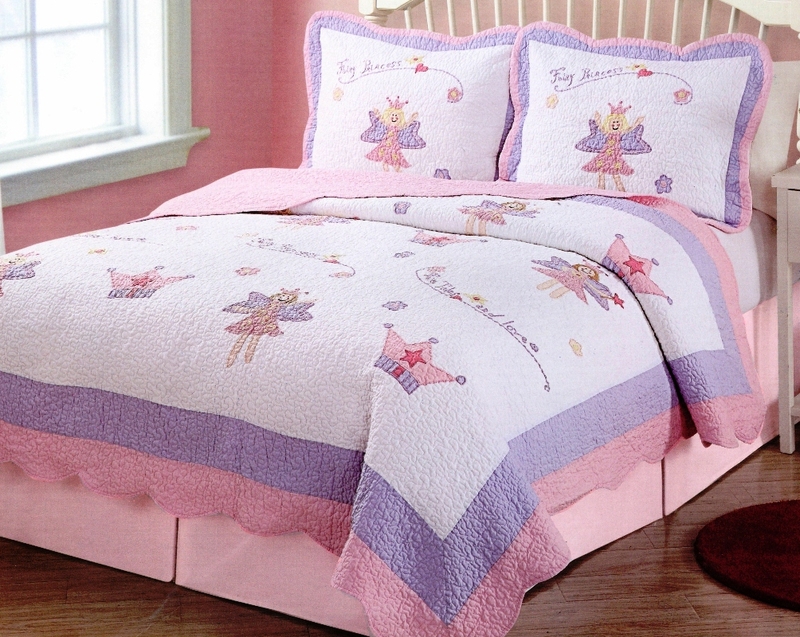 Prewashed from the manufacturer for an out-of-bag soft and comfy feel. Quilt set includes quilt and two standard shams (one sham with twin quilt).